Much to the consternation and frustration of his family and friends, Alexander made the conscious decision to embrace experience over the shackles of the career ladder. Leaving the relative comforts of his native Scotland, he has taught English in China and Saudi Arabia and successfully combined undergraduate and postgraduate degrees in Commercial Law with travelling extensively throughout Europe as a truck driver. Successfully securing a PhD Scholarship in Law at the University of Otago in Dunedin, New Zealand resulted in the chance meeting that would forever change his life - meeting his Canadian wife, Marie. Over the following three years, they enjoyed a nomadic existence living on three continents. This did little to ease to their respective friends and families consternation! Now they've embraced and enjoy a completely new experience - that of being parents. 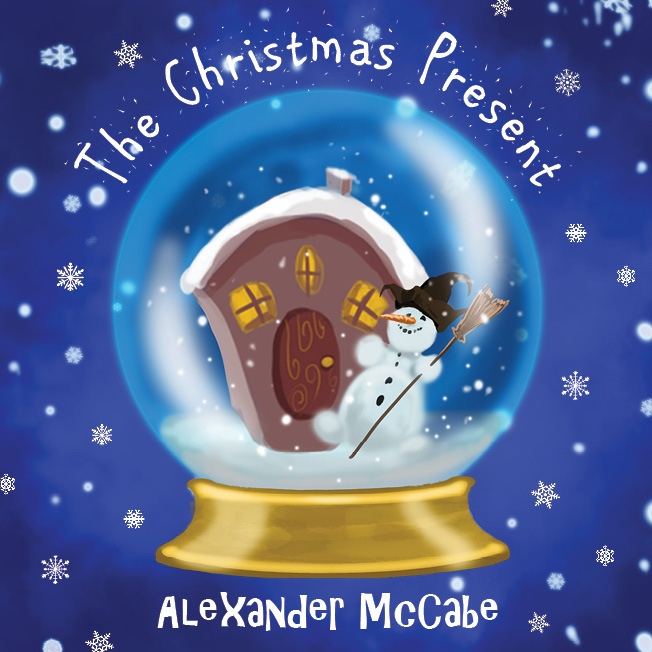 Their son, Gabriel, provided the inspiration for The Christmas Present, and both Alexander and Marie hope that the book and its overwhelming success to date provide him with just a sliver of the pride that he gives them every single day. December 2018 at your local WHSmith store! Come meet the author in-person and get your copy signed!! Get in touch with Alexander here.